To have your landscaping look to its full potential the plant life needs the proper nutrients. The nutrients come from the topsoil, the higher quality the topsoil the better your plant life and overall landscaping will look. The four main nutrients in topsoil are: Nitrogen(N), Phosphorus (P), Potassium (K) and Magnesium (Mg). How much topsoil do I need? 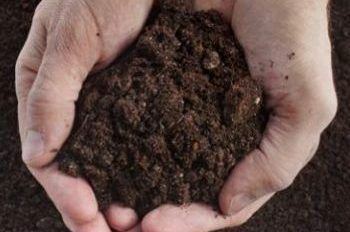 You can use our simple calculator to determine how much topsoil you need. Please note that this is an estimate only. If you are unsure of the amount of topsoil you need please contact us for a quote. Local Delivery Available! Bring your truck to us or we are happy to bring our truck to you. Click to order online, call, or stop into the store. Please call for off season hours. "Great selection of mulch, topsoil and stone. Many colors of mulch to choose from. They also deliver." Delivery has always been on time, I can always count on prompt service from Berea Landscape Supplies. I've found that not only is Berea Landscape Supply priced very competitively, but the same day delivery option is a life saver! "The 24/7 service is a lifesaver during the big storms!!!"